The makers of Zero recently released the trailer of the much awaited film. The trailer was released on Shah Rukh Khan’s 53rd birthday. Unfortunately, Anushka and his love story does not reach fruition and Khan moves on to Katrina, who is portrayed as a celebrity. Most of the Zero trailer revolves around the three main characters. Finally, the trailer takes us all by surprise with a sweeping shot of a rocket, with Khan’s voice over in the background, saying, “Kahaaniyon mein suna tha ke aashiq mohabbat mein chaand tak le aate hain, saale humne yeh baat seriously le liyi.” Zero may have Khan taking the leap of faith for his love. Khan will reportedly not be the only one playing a special role in the film (he plays a vertically challenged man). Kaif will be playing an alcoholic in the film who struggles with her addiction, while Sharma plays a struggling scientist. Director Aanand L Rai also shared a new poster of Zero featuring SRK on his birthday. The poster depicts Shah Rukh standing on what seems like a New York street amidst tall sky-scrapers with a garland of notes strung around his neck. Rai dedicated the poster to Khan’s dimples. Recently, the first look posters of Zero were unveiled which saw Katrina and Anushka with SRK. The teaser and title of the highly anticipated film was released on 1 January and it left the internet in a frenzy as Khan was seen as a “dwarf” for the first time by the audience. For SRK’s challenging look, the makers reportedly used advanced technology inspired from Hollywood films. 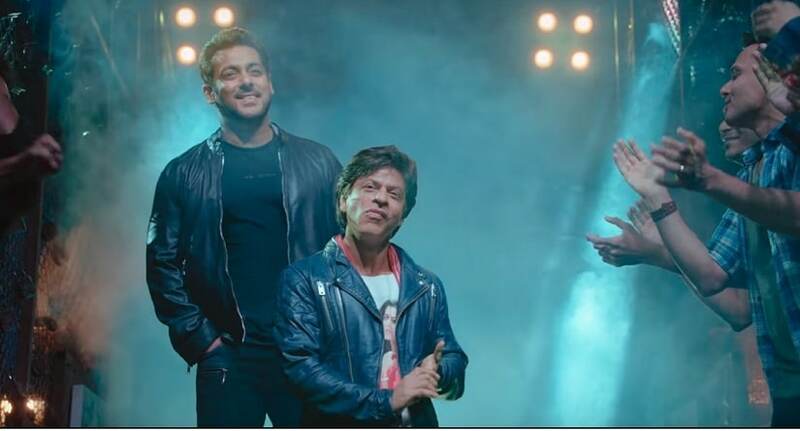 Mumbai: Bollywood superstar Shah Rukh Khan who unveiled the trailer of his upcoming film Zero on the occasion of his birthday on Friday, 2 November, said that he was touched by the gesture of Salman Khan doing a cameo in the film. The film also features Anushka Sharma and Katrina Kaif. It is interesting to observe that after Yash Chopra’s Jab Tak Hai Jaan this trio is coming together all over again to execute Rai’s vision. In the film Shah Rukh is playing a character of a dwarf and Anushka and Katrina are playing a physically challenged person and an actress respectively. December 2018 is going to be packed with big-ticket films. 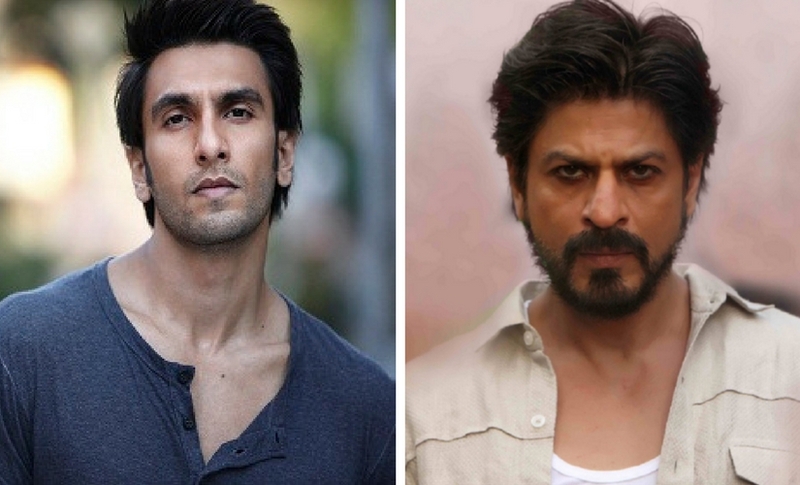 Two of Bollywood’s biggest stars — Shah Rukh Khan and Ranveer Singh, might have a box office clash in the coming year. According to a report by India Today, Aanand L Rai’s film which stars Shah Rukh Khan and Rohit Shetty’s remake of a popular Tamil action starring Ranveer might release on the same day in December 2018. However, another actor who joins the race is Sushant Singh Rajput, whose Kedarnath is releasing on 21 December 2018, too. Therefore, Bollywood buffs have a lot to look forward to during 2018’s Christmas weekend. Although the release dates of Shetty and Rai’s films have not been confirmed yet, speculations about both the films hitting the screens in December next year are rife. This clash, if it occurs, will be a major one since Saif Ali Khan’s daughter Sara Ali Khan is also making her Bollywood debut with Kedarnath. Shah Rukh, too, is doing a highly experimental film after a while and the action flick will be Singh and Shetty’s first collaboration. 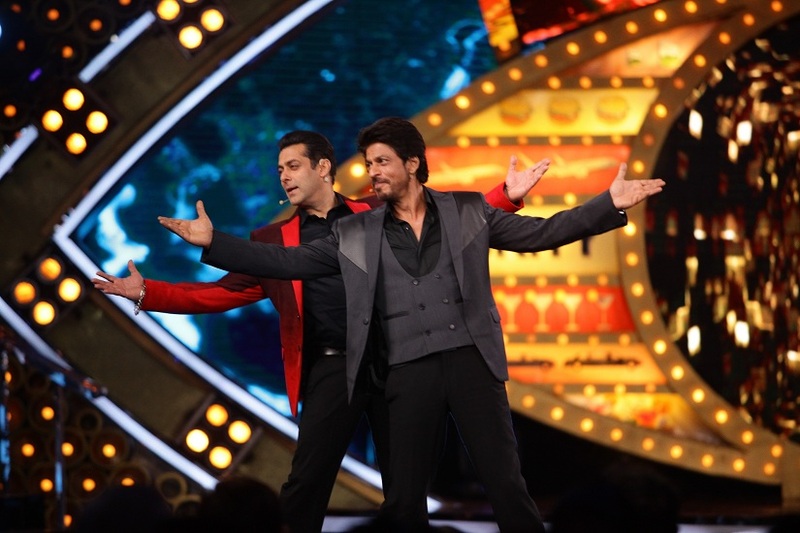 Shah Rukh and Singh’s films have previously clashed with each other only once. In 2015, Sanjay Leela Bhansali’s Bajirao Mastani and Rohit Shetty’s Dilwale had opened on the same day. Bhansali’s period drama surpassed Shetty’s rom-com in terms of box office collection. Filmmaker Subhash Ghai has revealed that he was under pressure to cast Salman Khan, Madhuri Dixit and Shah Rukh Khan for his romantic drama Pardes. The 1997 film featured Shah Rukh along with newcomers Mahima Chaudhry and Apurva Agnihotri. For the role of Ganga (played by Mahima) and NRI Rajiv (played by Apurva), Ghai said his production house wanted Madhuri and Salman respectively. “After several hits, Trimurti was Mukta Arts’ first flop. When a film flops, the industry is quick to write you off. I decided to write a film in my own style. When the script was over, we were discussing the casting, which was a big problem. My production house thought Shah Rukh could be in the film along with Salman, playing an NRI, and Madhuri would play the central character. “I had narrated ‘Ganga’s’ character to Madhuri during Khalnayak too. But I wanted newcomers paired with Shah Rukh. His Trimurti had flopped and DDLJ (Dilwale Dulhania Le Jayenge) had worked, so I knew he was a great performer,” Ghai said. Trimurti released in 1995, helmed by Mukul Anand, featured Shah Rukh along with Anil Kapoor and Jackie Shroff in the lead. 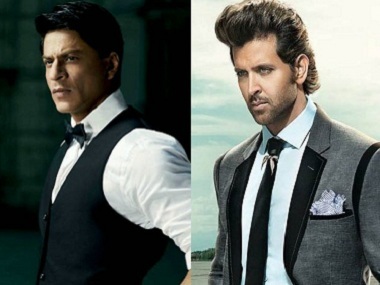 The 72-year-old director said though people in his production house wanted the three superstars together, he was not convinced. “My office wanted me to make the film with Salman, Madhuri and Shah Rukh because then it would be a big film and losses of Trimurti would be covered as well. They were right too. But the director in me wasn’t convinced that we need such a big star cast. “I said three big stars won’t go well in the script that I have. I wanted someone who looked like he has come from foreign for the NRI part. 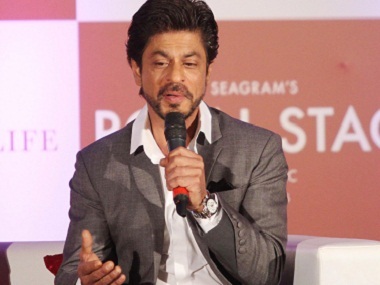 It was a big challenge but I finally managed to get Mahima, Apurva and Shah Rukh,” he said. The director was speaking at the special screening of the film, which completed 20 years in August. It was showcased at New Excelsior Cinema, which was recently acquired by Mukta A2 Cinema, a branch of Ghai’s Mukta Arts. Ghai said another challenge for him once the cast was locked was to present Shah Rukh in a non-romantic role. “Shah Rukh’s image had turned romantic after DDLJ but this role wasn’t romantic at all. The challenge was to tell Shah Rukh that he won’t be like a romantic hero in any shot. Shah Rukh Khan’s recent visit to check on the health of the 94-year old Dilip Kumar, upon the latter’s return after spending a few days in the hospital for some kidney related problem, brought to mind the sweet bond that the two have shared over the years. The thespian and his wife, Saira Banu, have publicly expressed their love for Shah Rukh Khan on numerous occasions and in fact, have even said that SRK is the child that they would have loved to have. 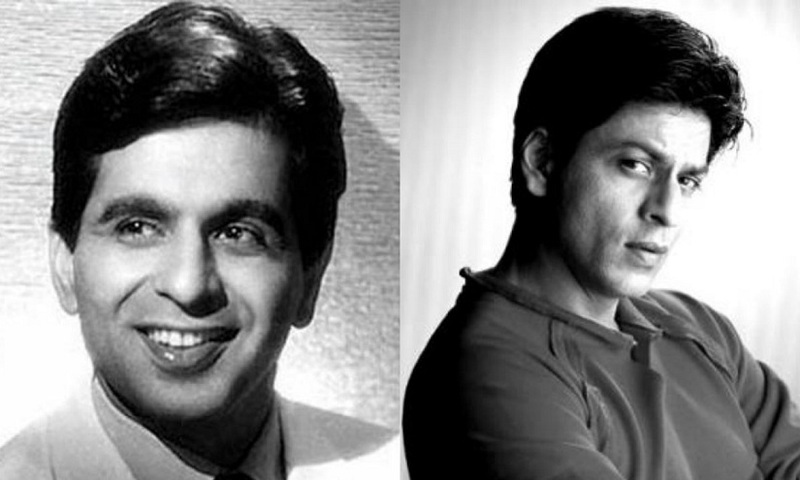 Besides having a few things in common with the younger Khan — including the same number of Filmfare awards for the Best Actor, eight to be exact, and both playing Devdas at some point in their careers — Dilip sahab’s fondness for Shah Rukh Khan also mirrors the manner in which he has interacted with some of the superstars who followed him. Dilip Kumar’s influence on Indian cinema is peerless and this influence extends beyond acting prowess. It was Dilip Kumar’s persona that inspired more than a few generation of actors such as Manoj Kumar, Rajendra Kumar, Dharmendra and Amitabh Bachchan, and almost every single one of them famously modelled certain aspects of their craft on Dilip Kumar. In Manoj Kumar’s case, he even took his screen name ‘Manoj’ after a character that Dilip Kumar portrayed in one of his films, Shabnam (1949). Dharmendra often mentions that even though he came to (then) Bombay to try his hand at acting, meeting Dilip Kumar was perhaps a bigger draw for him. During the shooting of one of his initial films in the late 1950s, Dharmendra met Dilip Kumar’s sister, and thanks to her ended up spending an evening at Dilip Kumar’s residence. Late in the night when Dharam ji was leaving, Dilip Kumar gave him a sweater as it had been raining, and to this day, the sweater is a prized possession for the former. Later the emergence of Rajesh Khanna as the new superstar coincided with the period where Dilip Kumar had considerably reduced his output, but even then the public interaction between Dilip Kumar and other leading men, such as Khanna and later Amitabh Bachchan, was the same. It’s not just Hindi films where Dilip Kumar’s impact, both as an actor and an elder, was felt. His friendship with the iconic Sivaji Ganesan, and later his influence on a Kamal Haasan, is also well documented. Mumbai: Bollywood superstar Shah Rukh Khan, who launched the upcoming international film award titled ‘Indian Academy Awards’ says he loves awards and considers them the collective applause for his work. “I love being a movie star and I love awards. After working for some time in the industry, we all reach a point from where we need some kind of applause and recognition. My awards are the collective applause for the work that I have done that year or on a film,” Shah Rukh told media here. Khan added that in his opinion, none of his films so far in the vast body of his work is worthy of a National Award. “If I haven’t got an award, I didn’t deserve it.. as an actor, I do not perform keeping any award in mind, it happens,” he added. Indian Academy Awards, conceptualised by Brainstorm Entertainment and executed by Cineyug will held in California to celebrate world cinema of three major film industries — Bollywood, Tollywood and Hollywood. Apart from Shah Rukh Khan, the event had Vandana Krishna, Saurabh Pandey of Brainstorm Entertainment, US Consul General Tom Vajda and Aly Morani from Cineyung. Explaining the idea of celebrating cinema on such a huge platform, Shah Rukh, asking people not to compare it to the Oscars or any such awards, said: “Bollywood films are hugely respected by American artistes. Creating this kind of platform will help us to not only promote our Indian films of different industries, but also create awareness of our work. One of the unique factors of the award is film lovers’ participation. People can vote for their favorite films, stars in over 21 categories from the official website of Indian Academy Awards. Vajda said: “We are very pleased to support the collaboration between the American and Indian film industries, in a way that recognises and promotes great talent and storytelling in movies. California is a perfect destination to showcase this for both American and Indian audiences”. Indian Academy Awards will be a two days extravaganza of live performances by various superstars of Bollywood including Shah Rukh that will be choreographed by Shiamak Davar along with music and fashion shows on 7-8 July 2017 in Silicon Valley. Dear Zindagi is clearly straining at the formula-ridden Bollywood straitjacket to give us a refreshing take on love and family, and for the most part it sticks to its guns. In the end, it does succumb to the pressure to bow to perceived public demand with passing mentions of what we have come to consider inevitable in every Hindi film, but the ride up to that point is so rewarding so often that it is tempting to look past those needless moments. Writer-director Gauri Shinde’s Dear Zindagi comes four years after her remarkable debut with English Vinglish. If that film brought the charismatic Sridevi back to the big screen as a leading lady after a 15-year hiatus, this one redefines the concept of hero and heroine in Hindi cinema. Dear Zindagi revolves around Kaira (Alia Bhatt), a talented young cinematographer in Mumbai who despises her parents, appears confident in her romantic relationships yet is ridden with insecurities about the men she is drawn to. Those insecurities lead her to deliberately hurt her boyfriends before they get a chance to hurt her. It does not take a degree in psychology for a viewer to figure out her behaviour patterns, but Kaira is naturally confused by her fears. She ends up seeking professional help, and with some wise counsel, finds her answers herself. When one of the biggest stars in the history of Bollywood appears on screen about 40 minutes after the opening credits, it goes without saying that this is an extremely unconventional film. 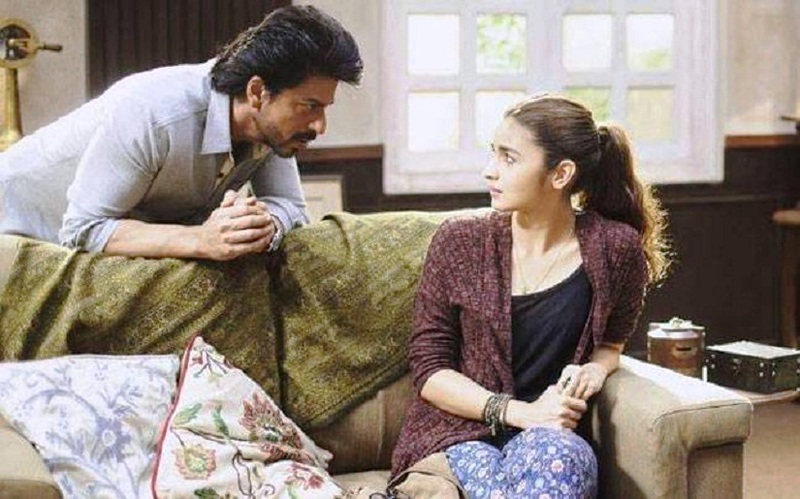 Bhatt’s Kaira is the focal point of the story from start to finish whereas Shah Rukh Khan – playing her therapist Dr Jehangir Khan – surfaces towards the latter part of the first half and is nowhere to be seen in the concluding scene. In a male-obsessed industry still tending to subordinate women in most mainstream projects, this is a decision that shows guts on Shinde’s part and Khan’s evident willingness to experiment. That other MegaKhan, Aamir, took a similar gamble with rewarding results in Taare Zameen Par (2007), and this is a winning aspect of Dear Zindagi too. SRK gets less screen time but owns every scene he is a part of. In fact, Doc Jehangir enters the picture just as the film is sagging and appears to be repeating itself. His arrival immediately lifts Dear Zindagi. It sags again occasionally thereafter, but never when he is around. Besides, there is such warmth in Kaira’s interactions with the Doc that it envelops the rest of the narrative too. It is worth mentioning that Khan in this new phase of his career when he is acknowledging his age gracefully, showing us a dash of gray and a whiff of wrinkles, is looking hot. Kaira explodes in anger at one point when someone describes her as a pataka (firecracker). Well, that’s precisely what Bhatt is – a pataka with pizzazz and verve. What makes her so impactful is that she has had an internal journey with each of her roles so far, and not so far allowed that journey to be overshadowed by her attractive personality. Kaira is simultaneously exasperating and endearing, and Bhatt remains in control of that difficult blend throughout. Still, the film needed more matter to wrap around these two lovely stars, and Dear Zindagi too often does not. Some of that comes from the failure to build up the satellite characters who are Kaira’s go-to people in times of need. We get that she is pre-occupied with her own emotional struggles to the point of not noticing their problems, but that is no excuse for the writing to neglect them too. Who is Fatima (Ira Dubey) beyond being a mature, married friend? Who is Jackie (Yashaswini Dayama) beyond being a sweet, supportive, possibly younger friend? Who and what is that chubby male colleague beyond being chubby and funny? Who is her brother Kiddo (Rohit Saraf) whom she loves, beyond being her brother Kiddo whom she loves? Who and what are her boyfriends Sid (Angad Bedi), Raghuvendra (Kunal Kapoor) and Rumi (Ali Zafar) beyond being a good-looking restaurateur, a good-looking producer and a good-looking musician? For this and other reasons the film is inconsistent and intermittently lightweight. Yet, there is much else to recommend in Dear Zindagi. The use of music, Amit Trivedi’s breezy tunes and Kausar Munir’s conversational lyrics are lots of fun, as are Kaira’s many amusing interactions with her friends. DoP Laxman Utekar fills the film with pretty frames of Goa beyond what we are used to seeing of that picturesque state, and is just as imaginative in his focus on Khan and Bhatt’s faces. Watch out for the closing shots of Bhatt on a beach. From an industry that usually treats parents as deities deserving to be worshipped, it is also unusual to get a story that does not ignore these gods’ feet of clay, especially considering that Dear Zindagi is co-produced by Karan “It’s All About Loving Your Parents” Johar. Above all, it is nice to see a film making an effort to destigmatise patient-therapist interactions, in a portrayal far removed from the “paagalkhanas (lunatic asylums)” of an earlier Bollywood era. Dear Zindagi then is a mixed bag. I loved SRK in the film, Bhatt is always a pleasure to watch, the story visits many themes that are uncommon in Bollywood, and several of the discussions are either witty or insightful or both. Overall though, the film comes across as being not enough because the writing needed more substance. You broke the mould with the delightful English Vinglish. Since you have defied convention in so many ways this time round too, you may as well have gone the entire distance without worrying about the consequences. We believe in you. Please do have faith in our faith in you. Box office clashes isn’t exactly good news for anybody, least of all the producers. While Diwali will see the mother of all box office clashes with Karan Johar’s Ae Dil Hai Mushkil locking horns with Ajay Devgn’s Shivaay, there’s some respite coming in as another box office war has been averted. Filmmaker Rakesh Roshan, whose production Krrish 4 was all set to release on Christmas 2018 alongside Shah Rukh Khan’s project with director Aanand L Rai, has decided to back out of the clash. The filmmaker stated that he arrived at this decision since Khan had announced his film earlier and it would be “unethical” for him to release the fourth instalment of his superhero film alongside. However, the Raees vs Kaabil clash on Republic Day 2017 remains unaffected. 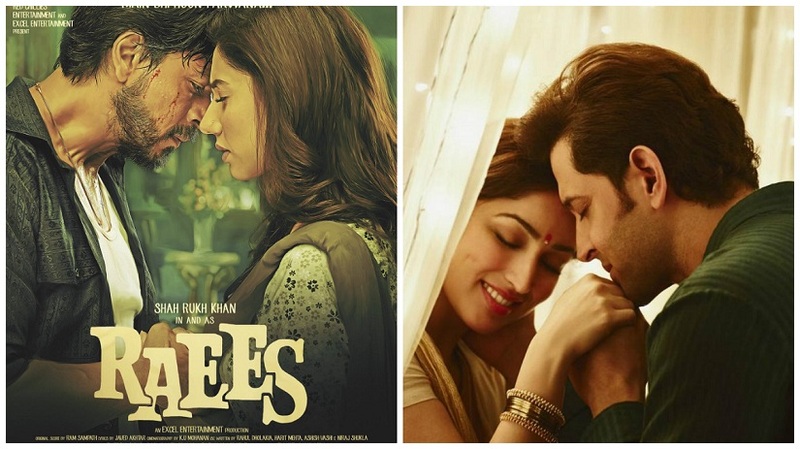 Khan’s Raees was slated to hit the theatres on Eid this year with Salman Khan’s Sultan. 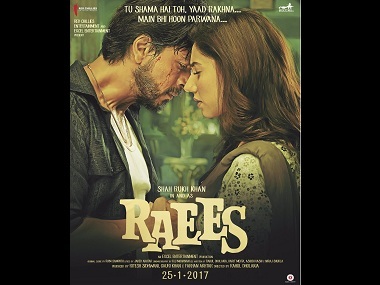 But Shah Rukh Khan postponed Raees’ release toJanuary 26 – a date that had already been booked by the Roshans for the release of their upcoming thriller, Kaabil. Roshan stated that he will not move Kaabil’s release date ahead as he had announced his project way before Khan.